Availability in 2019: every Sat & Sun, from May 11 to the end of September. We may be adding more tours, check the calendar below or contact us with a request for a specific date. Meeting point: Berthold Centre, inside the courtyard. Address: Grazhdanskaya st., 13-15. 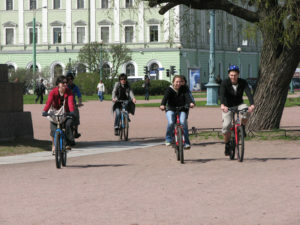 Cost: from 2825 rubles per person including bike. 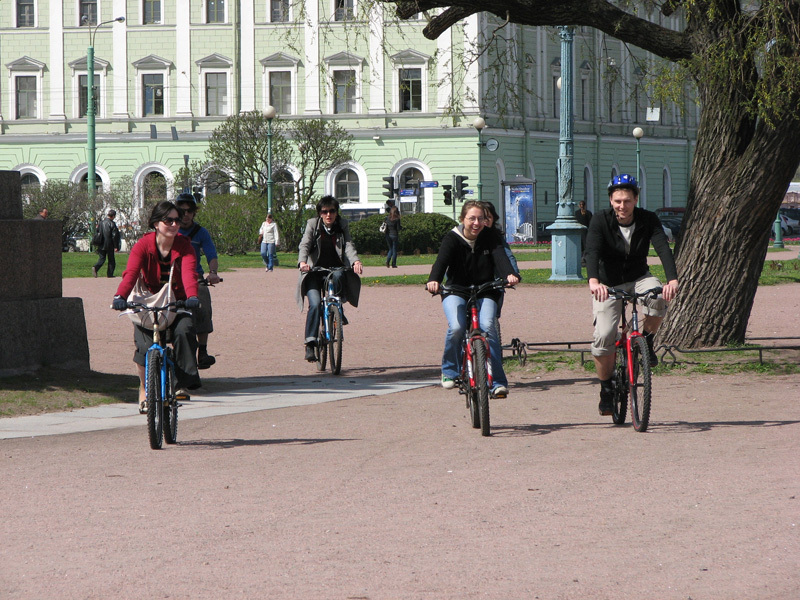 This 3.5-hour bicycle tour is a mosaic of the different sights and neighbourhoods of St. Petersburg. From the Palace Square and the Church on the Spilled Blood to grand panoramic vistas along the Neva embankments to charming old residential areas – this tour shows real-life St Petersburg at its best. *Exact route may vary, confirm with the guide please. The tour is conducted in English and Russian. Booking is required, max group 15 pers. Large groups should book a private tour in advance. To book this tour privately, please write us at info@peterswalk.com.